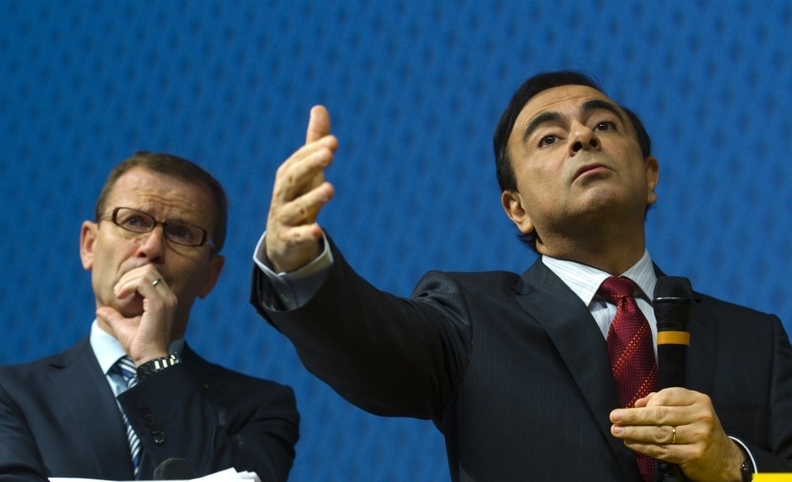 Pelata, pictured left with Carlos Ghosn, resigned from Renault in the wake of a corporate espionage investigation that led to the wrongful dismissal of three senior managers. Patrick Pelata, the longtime associate of Renault-Nissan CEO Carlos Ghosn who stepped down as Renault's COO in 2011 after a botched corporate espionage investigation, has accepted a new job. Salesforce.com, a San Francisco company that provides Web-based customer relationship management software, said on Monday that Pelata has joined the company as executive vice president and chief automotive officer. Pelata, 56, resigned from Renault in April 2011 after the company discovered that a widely reported corporate espionage investigation was flawed -- and had led to the wrongful dismissal of three senior managers, causing a political uproar in France. The Nissan-Renault alliance retained Pelata after his departure from Renault, but Pelata said in July that he would be leaving. "I'm leaving because, after one year, there's no job for me in sight," Pelata said in an e-mail to Bloomberg. "I've done strategic studies over the last 12 months but can't participate in their operational implementation. I therefore concluded that I had to go on elsewhere." Pelata had been a close associate of Ghosn since the two graduated in the same class in 1974 from the elite Ecole Polytechnique. Before joining Renault, Pelata worked at Nissan, which Ghosn also heads, to rescue it from near bankruptcy.